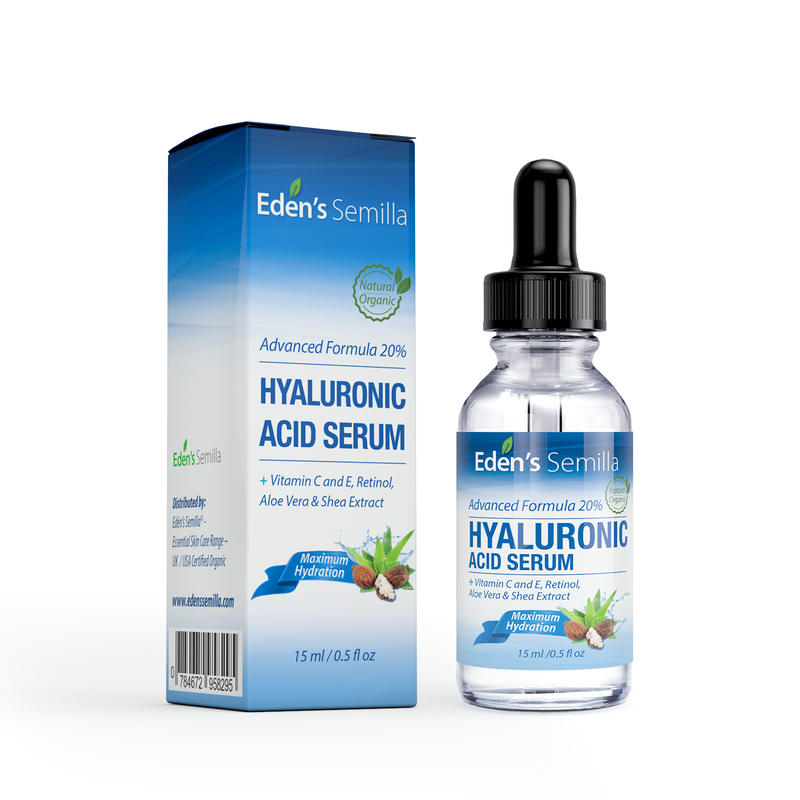 Hyaluronic Acid Serum 15ml – Best hydration moisturiser for the face. 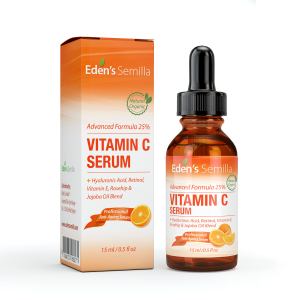 Contains Vitamin C, Retinol, Vitamin E. Plumps and smoothes fine lines and wrinkles. Antioxidant protection and collagen builder for softer more radiant and healthier looking skin. 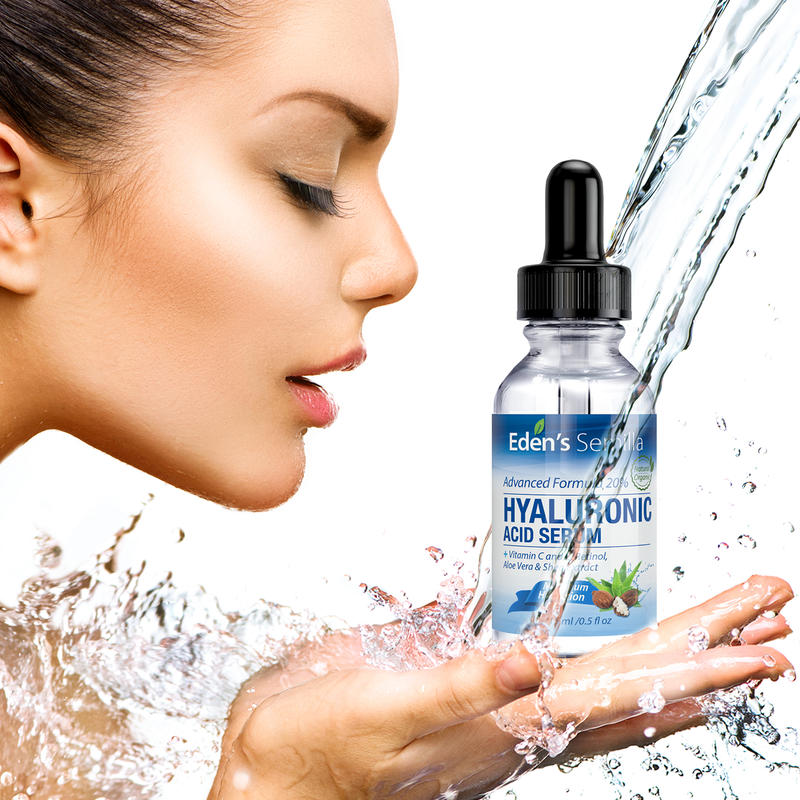 DID YOU KNOW THAT HYALURONIC ACID MOLECULES ARE ABLE TO RETAIN MORE THAN 1000 TIMES THEIR WEIGHT IN MOISTURE – half the body’s supply can be found in the skin but supplies reduce significantly with age. 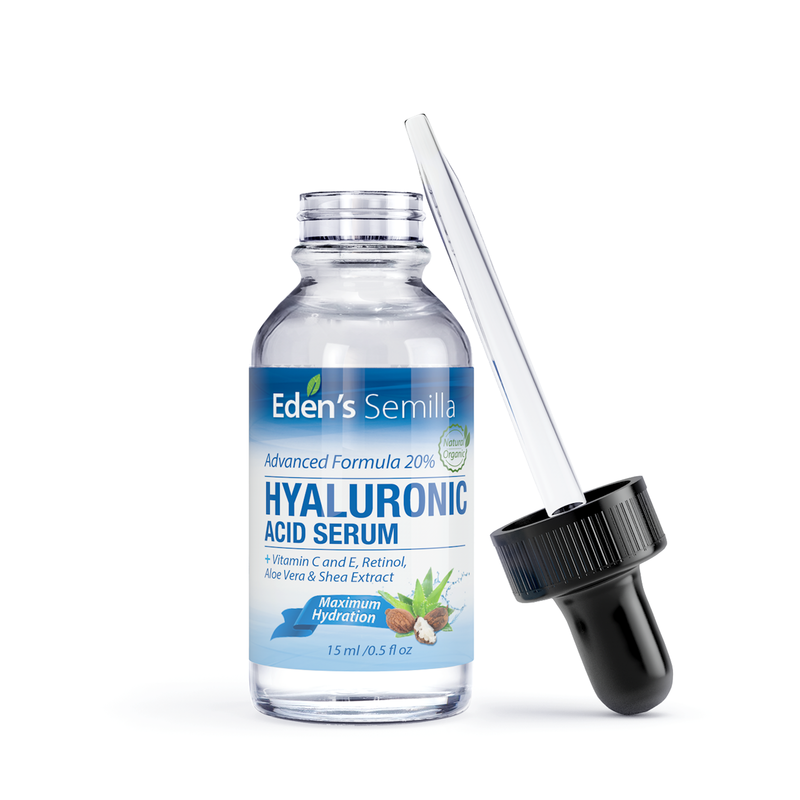 Our super strength 20% hyaluronic acid serum attracts moisture from the environment providing a protective barrier for the skin, locking in lost moisture – plumps and softens the skin, reduces the signs of puffiness, wrinkles and fine lines leaving a more radiant healthy looking glow. 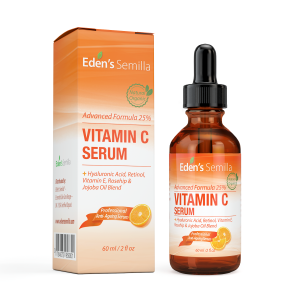 COMBINED WITH CLINICALLY PROVEN ANTI-AGEING INGREDIENTS: VITAMIN C – Essential for the production of collagen, a protein that keeps skin firm, elasticated, strong and healthy. Antioxidant protection against premature aging caused by (free radicals) found in the environment. RETINOL – All round skin protection. Targets fine lines and wrinkles. VITAMIN E – A powerful antioxidant containing anti-inflammatory & wound healing properties. An excellent moisturiser that is easily absorbed by the skin. 100% ORGANIC ALOE VERA / SHEA BLEND – These wonder ingredients are some of the best natural moisturisers available. 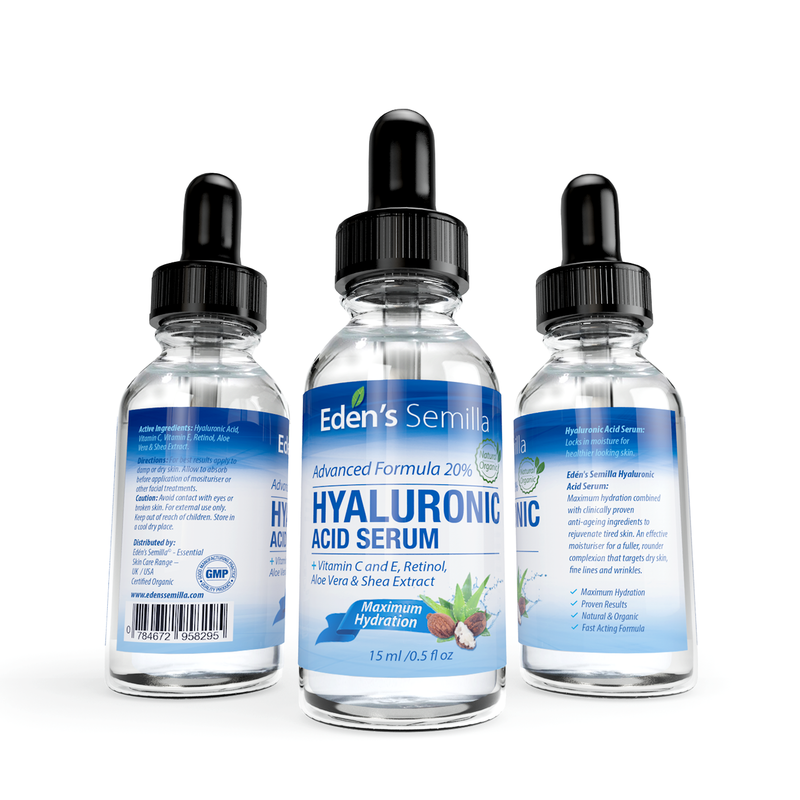 A unique combination that aids the hydration process and provides all round antioxidant protection. 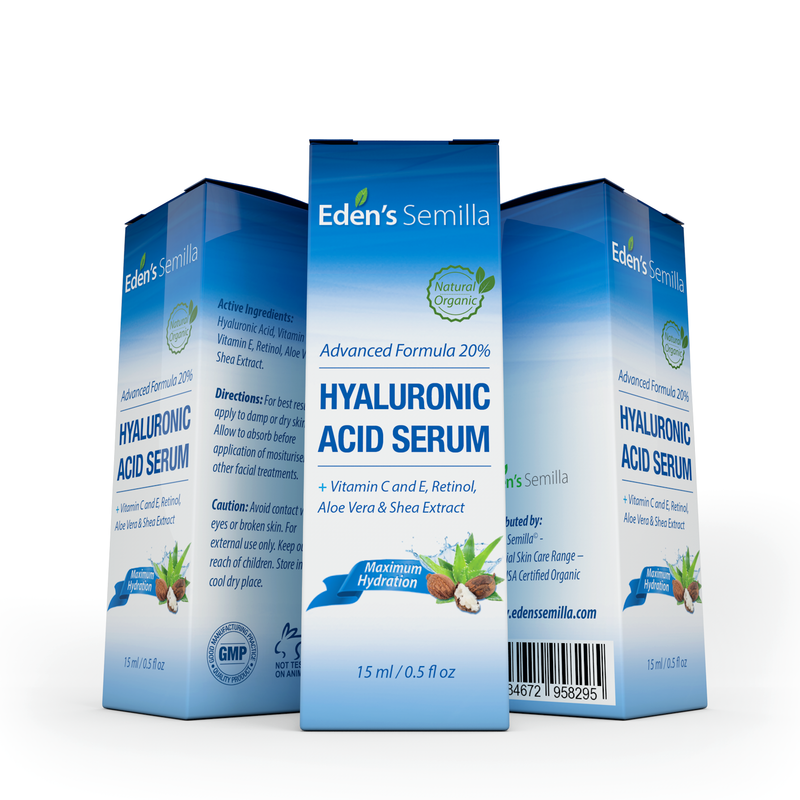 HIGHEST QUALITY – Our Hyaluronic acid solution is vegan friendly and contains only the purest ingredients. Free of parabens (preservatives) and sulphates. Fragrance free and produced to the highest levels of manufacturing standards. 100% MONEY BACK GUARENTEE – We offer a 100% no risk no questions asked money back guarantee. If you are not completely satisfied with the product then please contact us and we will provide you with a full refund.